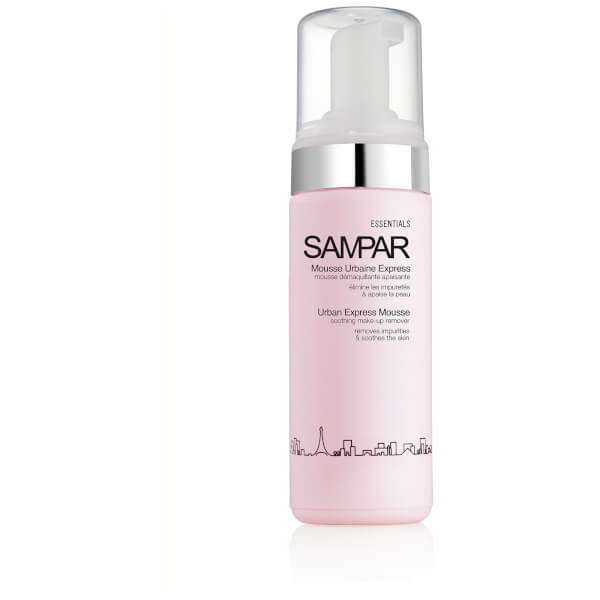 Purify and refresh your complexion with the SAMPAR Urban Express Mousse; a luxurious cleanser that works to eliminate pore-clogging impurities without over-drying or uncomfortable tightness. Fortified with Rose Extract and Geranium Essential Oil, the cleansing foam expertly dissolves all traces of dirt and make-up, whilst promoting soft, smooth and refined skin with a healthy-looking glow. The brand's innovative Urban Advance Complex of Shea Butter Serum, Mint Endorphin and Probiotic Sugar provides superior antioxidant properties to neutralise free radicals and defend against the damaging effects of environmental aggressors. Expect a calm, comfortable complexion after use. Apply a small amount to a damp face. 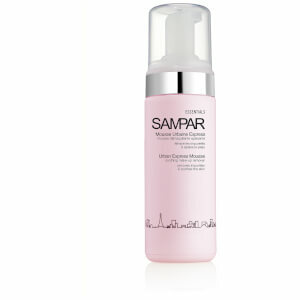 Work into a lather by massaging in circular motions. Rinse thoroughly. Aqua, Sodiul Lauryl Glucose Carboncylate, Lauryl Glucoside, Coco-Glucoside, Gylceryl Oleate, Decyl Glucoside, Disodium Cocoyl Glutamate, Polysorbate 20, Glycerine, Lactitol, Xylitol, Pelargonium Graveolens Oil, Butrospermum Parkii (Shea Butter) Extract, Mentha Piperita (Peppermint) Extract, Benzyl Alcohol, Potassium Sortbate, Sodium Benzoate, Butylene Gylcol, Dehydroacetic Acid, Rose Damascena (Rose Absolute) Parfum/Fragrance.